Show off Richmond on Instagram! Outside magazine is hosting its annual Best Towns competition. They&apos;ve already picked 60 towns, but need four more wildcards. Somehow Richmond was left off this list. This is where you come in because you can help Richmond into the competition on Instagram! 1. 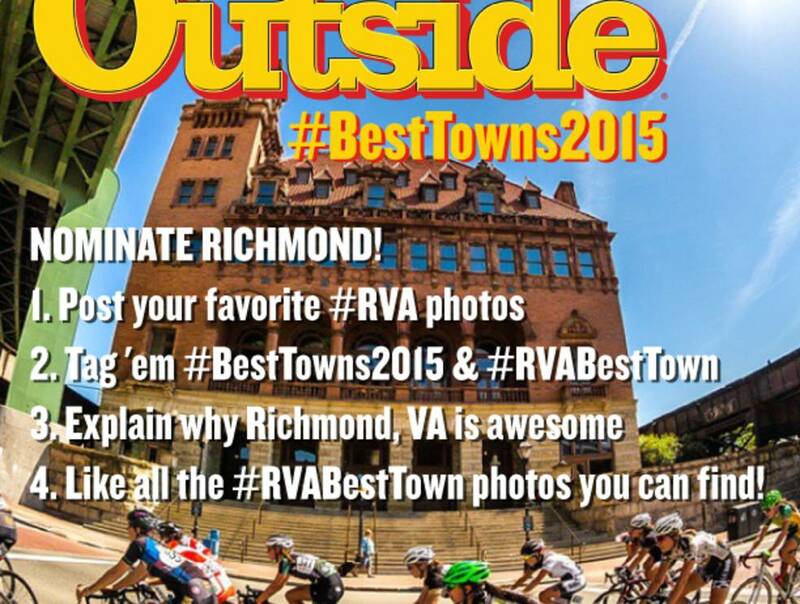 Tag a photo of Richmond with #BestTowns2015 & #RVABestTown 2. Include the Richmond, VA in the comments, and why Richmond is awesome. 3. Like all the #RVABestTown photos you can find!